In 2006, the Mexican Navy opened the Naval History Museum. This colonial-style building next to Los Arcos on the Malecon was formerly the Port Authority office, the Navy Hosptial, and later the Navy Headquarters. 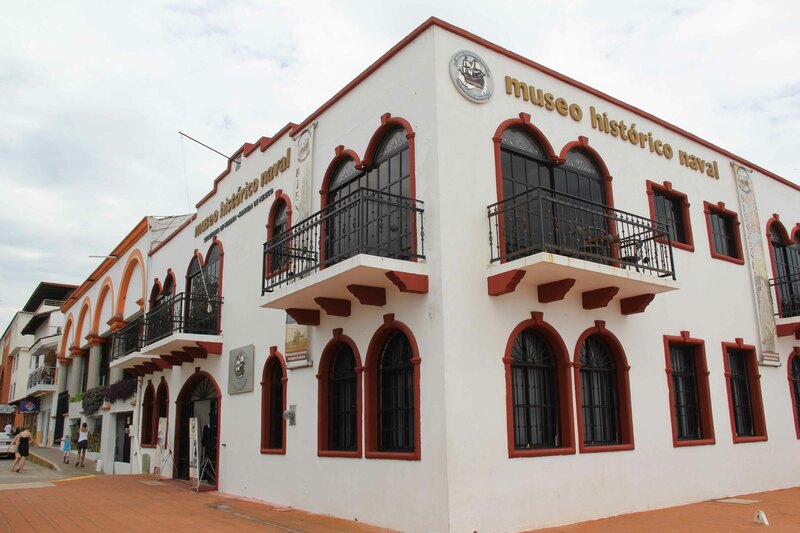 It has recently been remodeled to host historic exhibits and artifacts. With five exhibition rooms, the Naval History Museum houses permanent collections of photos, maps, documents and paintings. It offers scale models of forts, scale replicas of both old and modern vessels, and topographic scale models of the Mexican Republic and several of its ports. Also of interest are the many navigation instruments and charts. A coffee shop located on the upper floor of the building has panoramic views of the Malecon and Banderas Bay and is a great place to have breakfast.